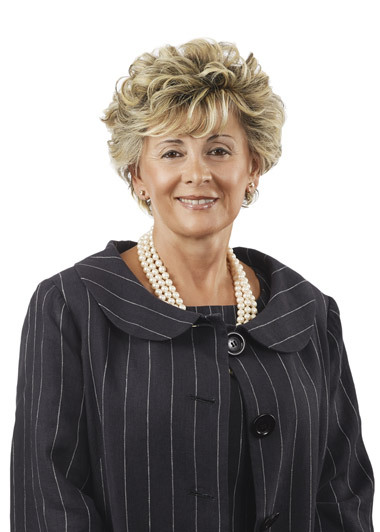 2009 Horatio Alger Award Winner — Founder and Executive Chair, Just Energy Group Inc.
Rebecca MacDonald was born in the former Yugoslavia in Sarajevo in 1953. Her father came from a peasant family, but his genius in mathematics earned him a scholarship to study electrical engineering. MacDonald’s mother was born into an affluent family that lost their wealth during World War II and the rise of President Tito. MacDonald had no freedoms as a child. She was allowed no friends or other social outlets, and was forced to practice the piano for six hours a day. MacDonald explains that for those who could pass state tests, music lessons and education were free. As a teenager she had become an accomplished pianist, but could not perform at a concert level. Her mother ended the music lessons and told her she would go into medicine. On the day MacDonald completed her medical degree, she decided to run away. She was 22 and still living with her parents in their small apartment. She had never been allowed to make her own choices, she had never had any privacy, and she had never even been on a date. She had led a lonely, repressed life. On her way home from her last day at school, she passed by the Canadian embassy and spontaneously went inside to see if they would accept her as an immigrant. MacDonald left a letter for her parents and took the first non-stop flight to Canada, which landed in Toronto. She had her savings of a few hundred dollars, but could speak no English and knew no one in her newly adopted country. She tried to find a job where she could use her medical knowledge, but discovered that her lack of English and being a woman were insurmountable obstacles. She went to work as a secretary during the day and attended school at night to learn English. Four years later, she met and married Pearson MacDonald in 1979. In 1989, MacDonald read that Canada was going to deregulate energy. She saw this as once-in-a-lifetime business opportunity. She went to the library to research the buying and selling of natural gas, and then formed Energy Marketing Inc. Her company became one of the largest natural gas retailers in Ontario. Just as she made her first $1 million, however, her husband was killed in a car accident. Devastated, she pledged that she would focus her attention on her two young children and her business, which she sold at a profit in 1995. In 1997, MacDonald founded Energy Savings Income Fund, which now supplies nearly two million customers in both Canada and the United States. In 2001, she became the first woman in Canada to take a company public. However, in the midst of her business success, Rebecca MacDonald was diagnosed with rheumatoid arthritis. Now in remission, she wanted to help others with this debilitating disease and provided funds for the Rebecca MacDonald Centre of Arthritis and Autoimmune Disease wing at Mt. Sinai Hospital in Toronto.